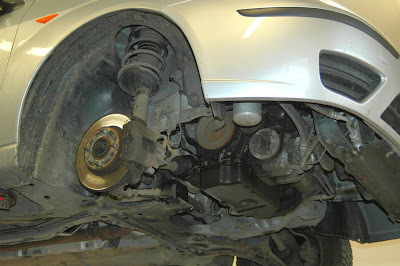 The engine and transmission are important on a car or truck, but the most important component on any vehicle is the braking system. If you can't stop, you crash. That's it. Stopping is most important. Since this is true, it is a good thing to have your brakes in good order. Brakes are a maintenance item, that is, they wear out and must be replaced periodically. If we wait too long, the brakes wear to the point that the rivets holding the brake pad will dig grooves into the rotor like the one shown in the image above. This is not only dangerous due to reduced braking performance, it makes the brake job much more expensive because often the rotors will need to be replaced along with the new brake pads. Let The Pit Shop take care of your braking system. We will be happy to check your brakes every time you come in for an oil change and you'll always know about how much longer the brakes will last and to have them replaced before the rotors get damaged. Here's a 3.5-minute complete engine rebuild. This 7 cylinder radial engine is homemade of air-cooled VW parts. Just a bit of fun for your viewing pleasure! Note: This video is ancient by today's standards but the concept is so well explained and is still the same today. Besides, this old engineering flick is funny and fun. Follow along as we transform a 1969 El Camino SS into a hard-charging canyon carver with a Hotchkis Total Vehicle System suspension install. This system is available for all GM A-Body muscle cars and can be installed with hand tools in a weekend. Better yet, let Jeff at The Pit Shop do all that for you! Breakdowns NEVER Happen At A Good Time! Regular maintenance is the best way to ensure that your vehicle performs the way it was intended and to avoid more costly repairs down the road. Often called preventative maintenance, it is far better to catch an issue before it becomes a problem. When it's hot outside, your auto's cooling system has to work harder and one of the most common failures would be a belt break that allows the engine to overheat like in the image above. That will put you on the side of the road, and it will never be a convenient time. 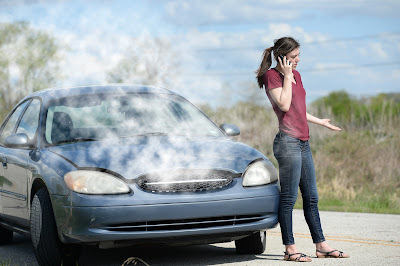 The best solution is for it to never happen by having your vehicle get a regular check up and replace belts, hoses, and other things that wear out with time, or become brittle from all the heat under the hood. Give Jeff a call at 707-580-5132 and make an appointment today. Better to schedule a more convenient time to get the check up and fix needed things now rather than have a roadside event. As a fully certified Senior Master Tech mechanic, and ASE Certified with over 22-years of experience, Jeff Schmidt, owner of The Pit Shop has the latest training using the latest diagnostic equipment to diagnose your vehicle properly. 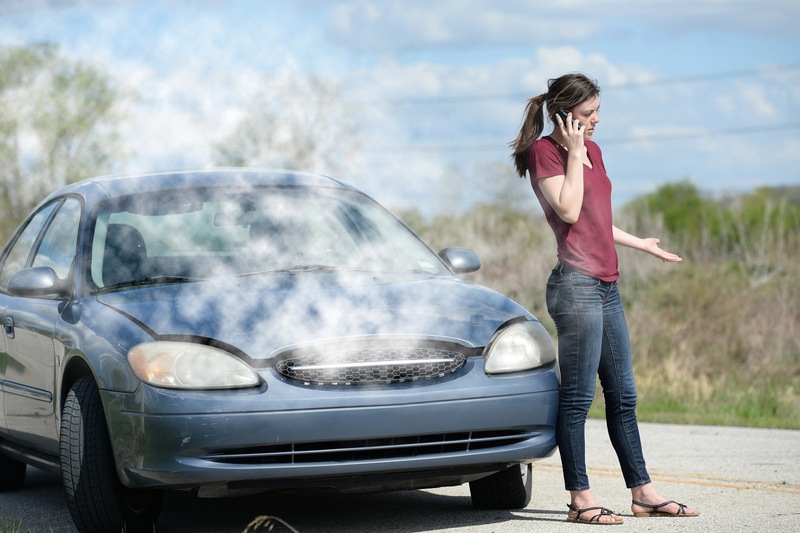 Diagnosing your vehicle correctly is the most important thing that can be done to get to the bottom of the issue and fix it right the very first time. In fact, if we don’t get it right, we don’t charge you anything. Getting the right diagnosis is just as important on a vehicle as on your own body, so you can rest comfortably that we will diagnose your vehicle as if it were our own.